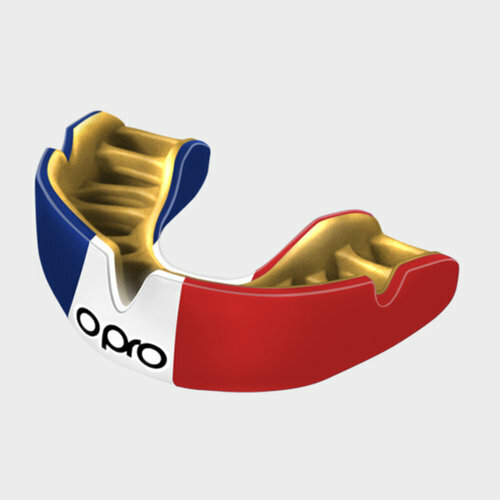 When it comes to protecting your teeth there's none better than Opro, your mouth is just as important as any other part of your body so make sure you don't step out onto the field again without the Opro Power-Fit France Mouth Guard. 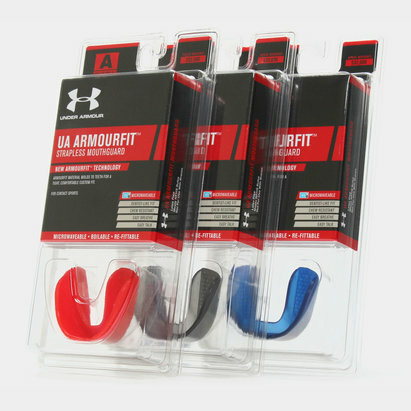 Made by Opro, the world's largest supplier of custom mouth guards, the Opro Power-Fit France Mouth Guard offers high impact protection to give you the confidence to go into any challenge. With a durable exterior shell for superior impact protection, 13 anatomical fins in superior hi-flow material are shaped and spaced to accurately fit your teeth morphology. With 'Stretch Zones', these allow the mouth guard to stretch and fit almost any mouth whilst the wide open front palate ensures ease of breathing and speaking during play. 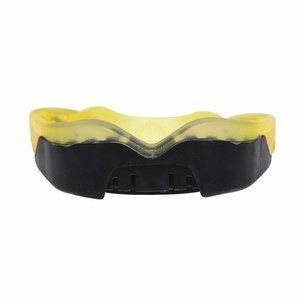 Simple and easy to fit, this Opro mouth guard ensures unprecedented comfort and also helps to protect against concussion through the multi-layer construction, posterior buffer pads and Oprofins. This mouthguard comes complete with a carry case and fitting handle. Please note that due to hygiene reasons we are unable to accept any returns on this item once the packaging has been opened.